What do the UK’s leading medtech players see as key initiatives for the sector? How much of an impact will Brexit have on the market? What would they like to see boost the sector? 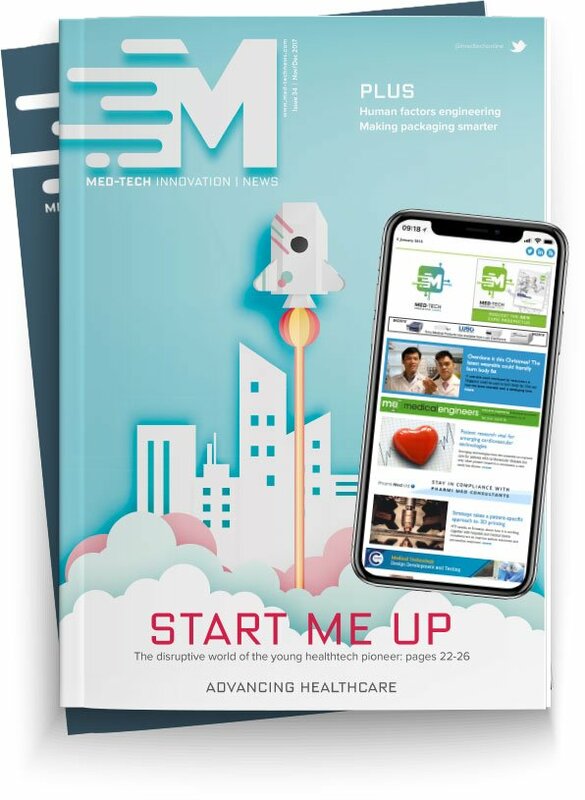 Ahead of April’s Med-Tech Innovation Expo, exhibitors from the event’s Medilink UK Pavilion share their views in an exclusive interview with Holly Delaney. The UK is the third largest market for medical technology in Europe and the sixth largest in the world. With over 3,500 medical technology companies in the UK, this rapidly developing sector generates an enormous annual turnover of £21 Billion. Holly Delaney, visitor marketing manager for UK Events at Rapid News Communications Group, spoke with a selection of Medilink UK Pavilion exhibitors this week, learning about their expectations for the sector in 2018 and beyond. Holly Delaney: Firstly, what do you see as the major trends for the medtech sector in the coming year? Harrison Law, account executive at IHN, an independent chartered insurance brokers with medtech expertise: With technology advancing at an incredible rate I can see the NHS outsourcing more and more contracts. I envisage some fantastic opportunities throughout the sector, be it app developers in the tech space or manufacturing, all benefitting from advancing technology. Kate Pym, managing director of Pym’s Consultancy which offers support to companies to commercialise health and social care innovations/technologies and gain access to both UK and international markets: A government-led focus on internal and investment into the UK medtech industry, with greater impact and support from higher education institutions to lead the development of innovation. Adnan Ashfaq, consultant director at Pharmi Med Ltd, a consultancy specialising in supporting medical technology businesses with compliance for ever-changing regulations: In 2018 we see major challenges, as ISO 13485: 2016 goes through its final year of transition in which all companies must have received certification of the revision by 28th February 2019. In addition to this the MDR and IVDR released in May 2017 also enforces another timer, in which companies selling in the EU market must have transition by 2020 and 2022, respectively. Furthermore, the MDSAP enforced on the Canadian market and other countries following will harmonise the auditing process under one single programme. ISO 14971: Risk management is under revision and so on. The thing that all these activities have in common is – less open interpretation for the manufacturer, more patient safety for the user. A different trend in the sector itself is the advancement of AI (artificial intelligence) and the increase of diagnostics, this will present itself with its own challenges, but they will all be underpinned by the new regulations and standards already described. HD: How do you plan to take advantage of these opportunities? KP: We are already working with several university technology transfer and commercial teams, and will be expanding our customer base in higher education, using the recently published UK Industrial Strategy Deal for Life Sciences and Higher Education Knowledge Transfer strategies to provide strong support and thought leadership for SME spin-outs and licensing of med-tech innovation. AA: Pharmi Med Ltd are staying in tune with industry changes so we can be certain that we are ready to serve the industry by ensuring they comply. We will be networking and making our presence known by marketing but mainly through good industry connections and a brilliant track record. HD: Give us your view on Brexit and how you feel it will impact the Med Tech market. HL: With the UK being at the forefront of the sector in terms of research and development, compliance and regulation, it will give UK companies a fantastic opportunity to expand their customer base in new markets be it the USA, Asia or Africa to name a few. KP: Brexit will have a tremendously positive effect on the UK med tech industry, a key area for future development highlighted in the Industrial Strategy. The cost of exporting has fallen considerably, and investment in med tech is set to grow significantly. The rest of the world look to the UK for medtech innovation, and Brexit will provide a real opportunity for the UK to develop. AA: We believe that Brexit will not impact the new regulations otherwise this will mean a new set of regulations for UK alone which makes no sense. However, what will potentially impact is the falling of the pound sterling against the Euro - this could make manufacture in the UK cheaper than the rest of Europe. If the pound were to fare better than the Euro we may be less competitive than our European counterparts, forcing manufacture out of UK. Either way, the Far East (particularly China and India) have already started to take up a lot of manufacture for UK companies. This will make us more of a developer than a producer, focusing on innovation, R&D and prototyping. HD: Finally, why Med-Tech Innovation Expo? Why are you exhibiting and why you would encourage people to visit the event? HL: The expo meets everyone’s needs including great networking opportunities with suppliers and peers. The expo also showcases new products, technology and ideas to help expand and develop your own. Whether you’re looking for financing or improvements to supply chain, this is the event to attend. KP: We had a very positive response to our stand last year, and met many of our current associates and customers there for the first time. It provided excellent information, presentation and networking opportunities, certainly an event that we wouldn’t want to miss. AA: It’s the main UK event for medical technology so businesses, start up or established, should come just to network and see how we can work together to make us more competitive, more innovative and more successful as a nation.